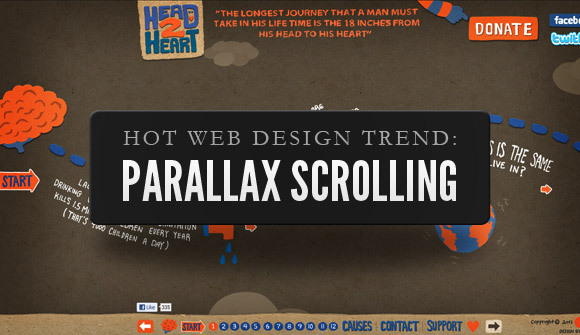 Here are some trends we are seeing at 5×5 Lab in web design. As with fashion, some of these things we go with, and others are a tougher sell. We enjoy building sites that showcase these trends and we are always on the lookout for the Next Big Thing! 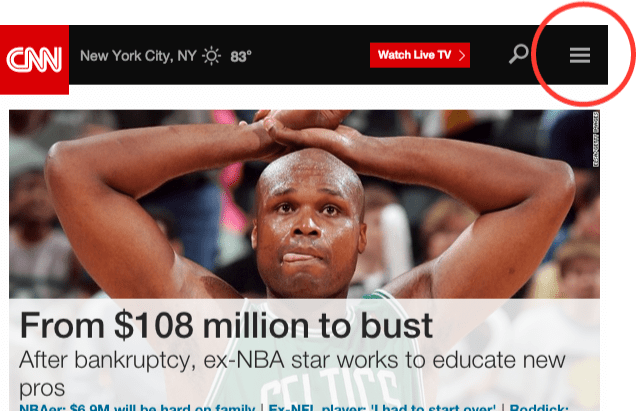 You’re starting to see the “hamburger” menu on more and more websites. The three horizontally stacked lines are meant to be the universal symbol for “menu”. It works great on a small screen, such as a mobile phone, but it seems to get lost on the larger tablet and desktop screens. We’re concerned that the lack of obvious menu items will increase bounce rate, and reduce page views. Our approach is to use the hamburger menu on mobile devices, then enable the standard horizontal menu on larger screens. It has never been easier to add beautiful fonts to your websites. Yet, with the ease of multiple font sizes and styles per page comes the need for restraint. The Font Awesome Icons were a refreshing new design look, but now we’ve seen them a bit overused as a design trend. You’ve seen this by now. This is where the backgrounds all scroll down at different rates. It is an unusual effect and can add depth of field to your imagery. We enjoy designing with parallax elements and look for unique ways to utilize the effect. This design trend is likely not the best for SEO efforts, but it is a very popular design element. Did you ever notice that when new skis or snowboard colors come out for the season, that the new jackets, pants, gloves and accessories already match them? It’s because all the sports manufactures already know what colors are going to be “in” for the next few years. 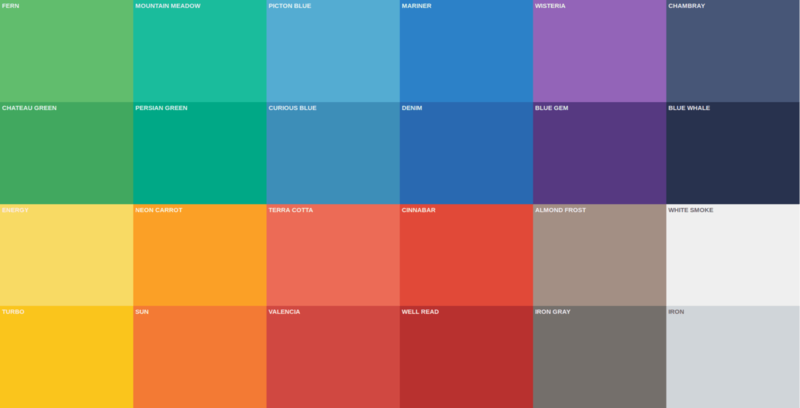 That’s what this new “flat design” color scheme feels like. It’s like someone at Internet, Inc. said, “Hey, how about we use these this year?”. Not a fan, but we’ll design with any colors you like!